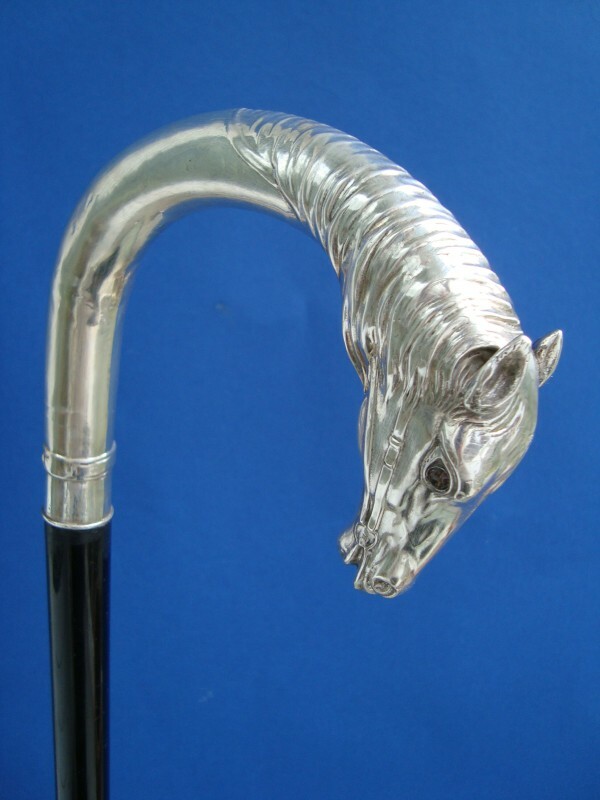 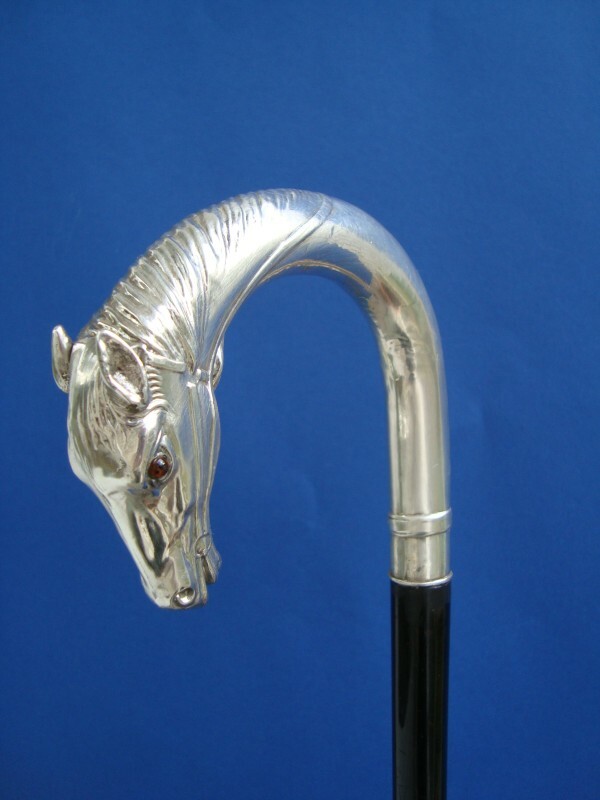 Walking beginning of 20th century, with a silver, (acid checked), crook with a big horse head with glass eyes. 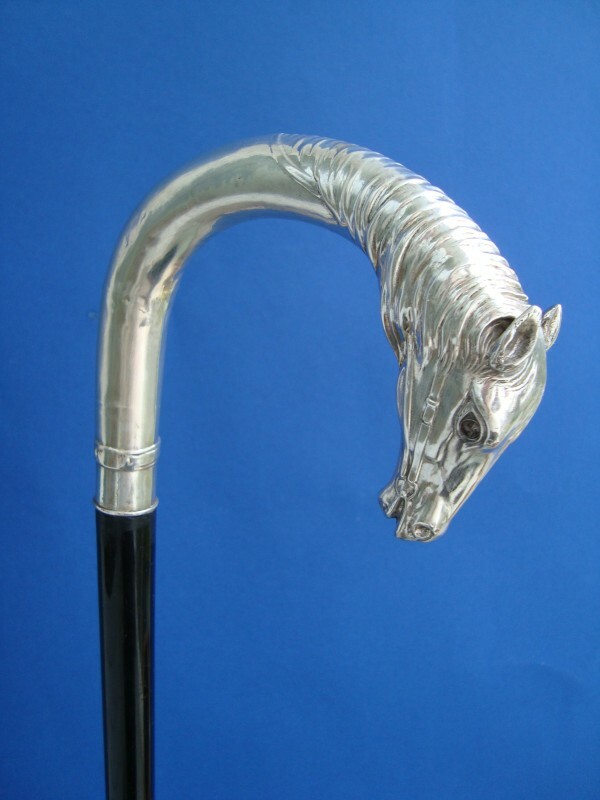 Above the end of the crook a head collar. 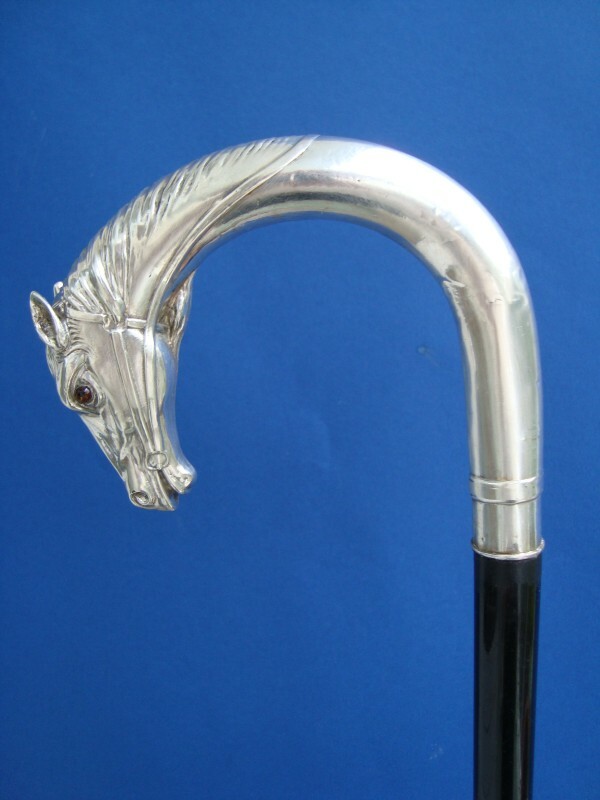 the handle is fitted on black varnished hardwood shaft with a metal ferrule. 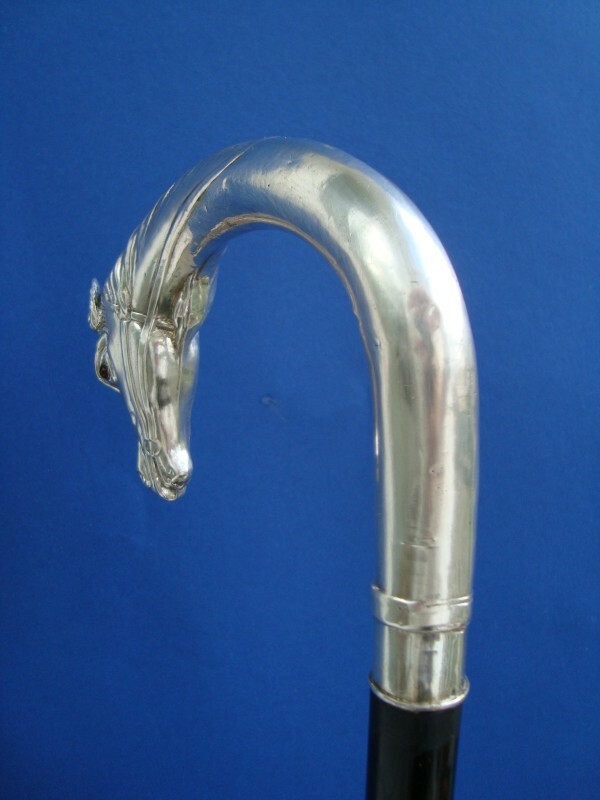 Measures of the crook: H. 10 cm 3.9", W. 12,5 cm 4,9", overall length 91 cm, 35,8".